This release contains the following new features. A new Setup application called Templates is now available. This new app provides one place to create and manage your inspections, maintenance, and crew tracking templates. A new Position tab allows you to create new positions and edit or delete existing ones. On the People tab, you now have the option to select a position when creating a new person or editing an existing one . This release contains the following improvements. We removed the Notifications icon. We moved the Activity icon to the right side of the screen, to the left of the Help icon. When you click the Activity icon, you now see an overlay containing your twenty most recent activities. We added a tour of the product. The tour starts automatically when you first log in to Helm CONNECT. You can also show or hide the tour by clicking a new link on the Help menu. We added how-to videos to the online help. For now, these videos are only available when you have an internet connection. You can view the list of videos by clicking a new link on the Help menu. We have significantly reduced vessel installation time, including when multiple computers are installing at the same time. Vessel installations are now deactivated automatically when you delete the associated vessel from the shore database. Vessel installations can communicate errors to the shore server so that system administrators can monitor their installs without the need to remotely connect to each individual PC. From the shore server, administrators can request log files from an individual vessel. The vessel server now tries to bind to port 80 instead of 8886. If port 80 isn't available, it will try a list of fallback ports sequentially until one of them works. This will prevent issues if the vessel computer has existing software that is already using a port that Helm CONNECT wants to use. You can no longer have more than one installation of Helm CONNECT on a single computer. You now receive a message warning you to uninstall the previous version before installing the new one. In the system tray context menu, you now have the option to force a data transfer or force an update instead of waiting for the five-minute timer. When using the advanced filters, once you've selected content for at least one filter, you now have the option to click a Clear Filters button to clear everything you've selected so far. In all overlays, you now have the option to clear what you've entered so far and start over. We now display middle initials, if they're available, in all drop-down lists that display people's names. We rearranged the order of the HSQE apps on the app menu. We replaced the text field for entering new tasks with a new button. When you click the button, a new pop up window displays where you can enter more details about the task. This new pop up window also displays when you click an action item in the To Do list. You can now add a note to a checklist. We added a new Refresh button at the top of the To Do list. When you click the button, it updates the To Do list without reloading the whole page. In the To Do list, we made it easier to see the system associated with each task. In the To Do list, we now organize the tasks by in groups according to when they are due. When you update the running hours for a system or component, the Total field now displays the sum of the Previous and Today fields. If you select system hours from the Today drop-down list, then edit the amount in the Total field, the system hours you selected now remain in the Today field. If you enter a number in the Total field that is greater than 24, the Today field now remains empty. You now have the option to enter two values—one at midnight and one at noon—instead of just one value. In the list view, we renamed the Source column to 'Vessels' for clarity. In the detailed view, we replaced the column containing icons to represent the type of item with a new Type column. For better workflow, we renamed the Global tab to 'Crew Tracking' and moved it to the new Templates app. We have removed the Reminder fields throughout the app. The list view now includes new Due and Expiry columns, as well as columns that display icons for missing documents and expired qualifications. The detailed view now includes an attachment overlay, Obtained, Expiry, and Due columns, as well as columns that display icons for missing documents, expired qualifications, and attachments. New advanced filters allow you to perform a more concise, detailed search by people, type, name, and/or when the item is due. We removed the From, Obtained, and Expiry columns, then renamed the original Due column to 'Expiry' to match relevant fields in the rest of the Crew Tracking app. We removed the column that displayed a warning icon for expired qualifications.You can clearly see that a qualification has expired if the number in the Due column is red. We changed the icon for missing or attached documents to a paperclip instead of a puzzle piece. If a required document is attached, then the paperclip is black. If a required document is missing, then the paperclip icon is yellow. We added columns to display each employee's phone number and email. On the Crew and Tracking tabs, when you update a qualification and select a date in the Obtained field, the Expiry field now automatically displays an expiry date that's one year after the obtained date you selected. You can either leave this expiry date or a select a new one. You can now export the contents of the tab to Microsoft Excel. You can either export everything in the list, or filter the exported output to include only specific items. You can also search the list first, then export just the results of your search. You can now print the contents of the tab. You can either print everything in the list, or filter the printed output to include only specific items. You can also search the list first, then print just the results of your search. The advanced filters are now always displayed at the top of the tab; you no longer have to click the Advanced Filter button to display them. The advanced filters now include an option to filter by type. When you click an item in the list view, a new detailed view opens to display additional information about the selected qualification. For better workflow, we renamed the Templates tab to 'Inspections' and moved it to the new Templates app. For better workflow, we renamed the Templates tab to 'Maintenance' and moved it to the new Templates app. On the Severity overlays, when setting the severity for an item, you now have the option to clear what you've entered so far and start over. On the Tasks tab, when you open a detailed view of an item, you now see the full text of any notes associated with that item. On the Plan tab, when submitting a new repair item, a message now displays to confirm you want to submit the item. On the History tabs, the detailed views for action items now display only those sections that have content. For example, if there are no Notes for a particular action item, then the detailed view will not display the Notes section. On the History tabs, when you open a detailed view of an item, you now see the full text of any notes associated with that item. Longer notes now appear on multiple lines instead of all on one line. In the Failed Item message boxes, when entering information about a failed item, you now have the option to cancel what you've entered so far and close the message box without failing the item. On the Checklists tabs, when submitting a completed checklist, a message now displays to confirm you want to submit the checklist. When submitting a completed checklist, a message now displays to confirm you want to submit the checklist. We increased the maximum length for description fields from 100 to 1000 characters so that you can see longer descriptions, when necessary. On the History tabs, we renamed the Source column to 'Vessel' for consistency with similar columns in other apps. On the Checklists and History tabs, in the detailed views, we now display description fields of up to 1000 characters. The following issues were resolved in this release. You can now resize the columns in print previews. Print previews are now close to the actual size of the printed page in portrait mode. There is no longer any missing content or missing icons on the printed page. Print previews now provide a scroll bar for longer lists of items. On the 404 error page, we resolved an issue where images were not scaled properly when you resized the browser window. 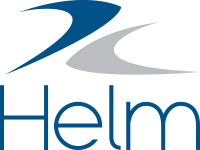 We resolved an issue where reinstalling Helm CONNECT on a vessel would sometimes fail if another process had the local database open. New installations now always create a new database instead of trying to use a file from a previous installation. We resolved an issue where a hidden window displayed on the alt-tab menu during vessel installation. We resolved an issue where installations would fail if the installation had been created on the server, then a new version of Helm CONNECT was deployed before the installer was run on the vessel. All new installations now get the newest version when the setup executable is downloaded. We resolved an issue where files that took longer than two minutes to transfer to the vessel were generating an error. We resolved an issue where duplicate data was occasionally sent to the vessel. We resolved an issue where the formatting in print previews didn't match the formatting on the printed pages. On the History tabs, we resolved an issue where the content of the tab appeared to jump when you sorted a column. We resolved an issue where checklists discarded in the Inspections or Maintenance apps weren't removed from the To Do list until you refreshed the page. We resolved an issue where submitting a maintenance checklist didn't reset when the checklist was due until you refreshed the page. We resolved an issue where double-click an item in the To Do list triggered an error message. We resolved an issue where the fields in the Fuel and Lube Usage card were limited to 12 characters instead of the same 13 characters as the fields on the other cards. We resolved an issue where the value in the Today field wasn't calculated automatically once you had entered values into the Received and Used fields. We resolved an issue where users who were logged in on a vessel would still have the option to select a vessel when using the advanced filter. We resolved an issue where completed checklists were incorrectly displayed with a severity icon. We resolved an issue where users weren't prevented from selecting a vessel before selecting a component. On the Crew and Tracking tabs, we resolved an issue where the Update Qualification messages for overdue qualifications were displayed as green instead of red. On the Checklists tab, we resolved an issue where a change in severity was recorded for previously submitted survey items each time additional items were submitted. On the History tab, we resolved an issue where searches didn't include the contents of the Completed column. On the History tab, we resolved an issue where deficiencies did not display the system they were related to. On the History tab, we resolved an issue where the print preview did not include the Vessels column. On the Checklists tab, we resolved an issue where the print preview didn't match the contents of the detailed view. We resolved an issue where clearing the Next Dry Dock field didn't automatically update the contents of the Due field to reflect your change. On the Crew Tracking tab, we resolved an issue where you couldn't publish a new crew tracking template. On the Inspections and Maintenance tabs, we resolved an issue where you couldn't duplicate a template. We resolved an issue where duplicate data appeared when you refreshed the screen.